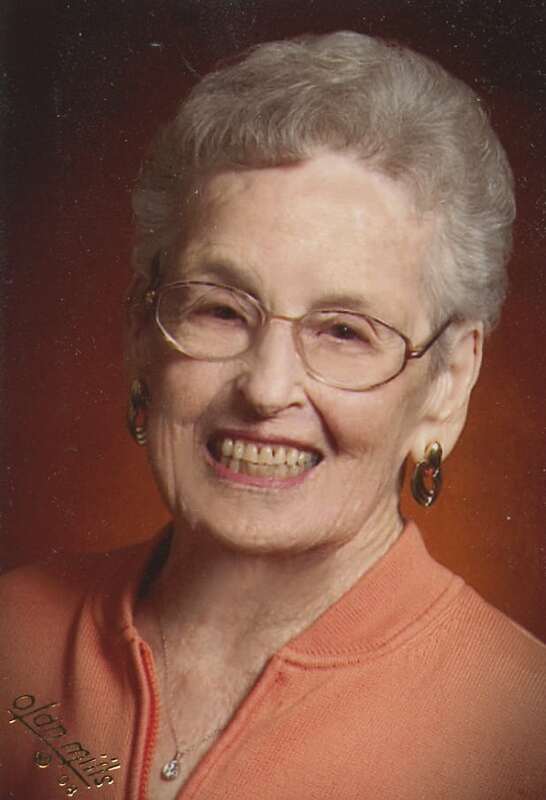 Memorial services for Betty J. Dobbins, 92, Lawrence, KS, will be held at 11 a.m. on Monday, March 5, 2012, at Warren-McElwain Mortuary in Lawrence. Private inurnment will be at Memorial Park Cemetery in Lawrence. Pastor David Rivers will be the officiant. She died on Wednesday, February 29, 2012 at Lawrence Memorial Hospital. She was born on March 9, 1919 in Wichita, KS, the daughter of John W. & Nettie Douglas Wolfe. She grew up in Augusta, KS, Redondo Beach, California, and later Wellington, KS. Betty and her husband moved to Lawrence in 1947 and they founded the Chuck Wagon Restaurant on south Iowa Street and operated it until the sale of it in May 1970. She was a member of the First Christian Church and formerly played bridge in several groups in Lawrence. She was also a member of the Cosmo Pals of the Noon Cosmopolitan Club. Betty married John W. Dobbins, Sr. on January 21, 1940 in Wellington, KS. He preceded her in death March 26, 1978. Survivors include a daughter, Sherri Millsap, of the home; two sons, Dr. Kent E. and wife Liz Dobbins, of Lawrence, John W. and wife Carol Dobbins, of Lawrence; seven grandchildren, Lance Dobbins, Dr. Keri Halgren, Kris Millsap, Jay Dobbins, Lori Dobbins, Staci Dobbins, and Eric Dobbins; and five great-grandchildren, Bailey, Taylor, Ashton, Parker, and Cassidy. The family suggests memorials in her name to the Betty Dobbins Fine Arts Scholarship c/o the Lawrence High School Endowment Association, the Douglas County Visiting Nurses, Rehabilitation and Hospice Care, or to the First Christian Church in Lawrence.